Katie Dention, 6, speaks with the Easter Bunny at Hurley’s SprEaster even on Saturday, April 13. 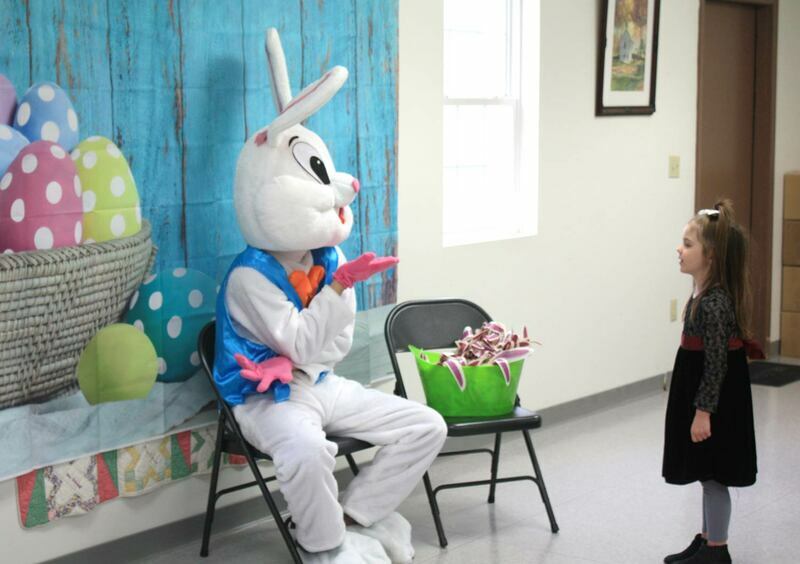 Free photos with the Easter bunny were available this year through Stray Animals Matter, a non-profit located in Marionville. About 40 children and their families came out for the festivities. 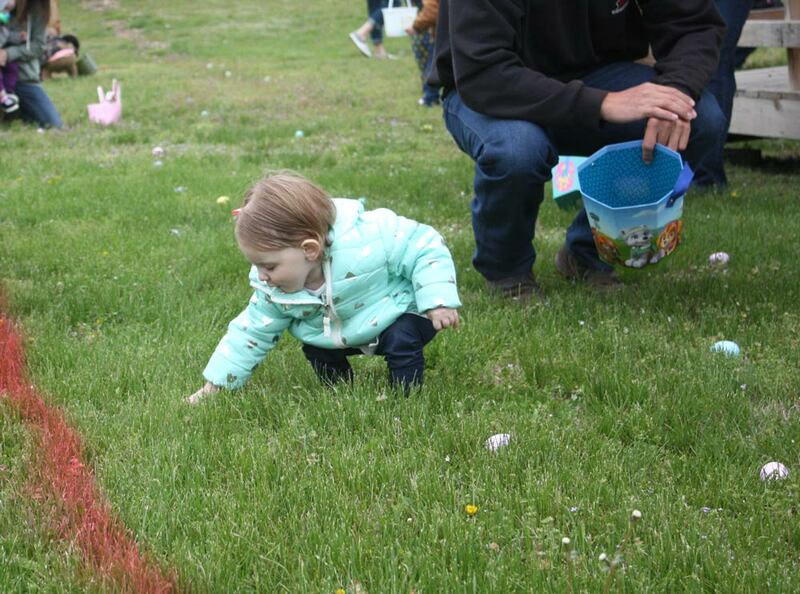 Mia Hair, 19 months, picks up Easter eggs during egg hunt portion of Hurley’s SprEaster (Spring + Easter) on Saturday, April 13. Four age groups, 0-12, picked up 1,000 eggs. 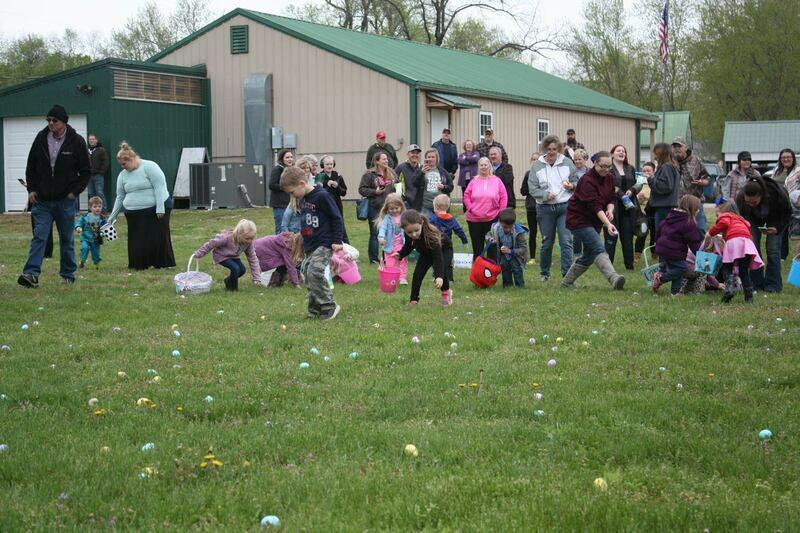 The egg hunt started at 1 p.m.; all of the eggs were gathered by 1:08 p.m. The eggs were divided into four age groups. 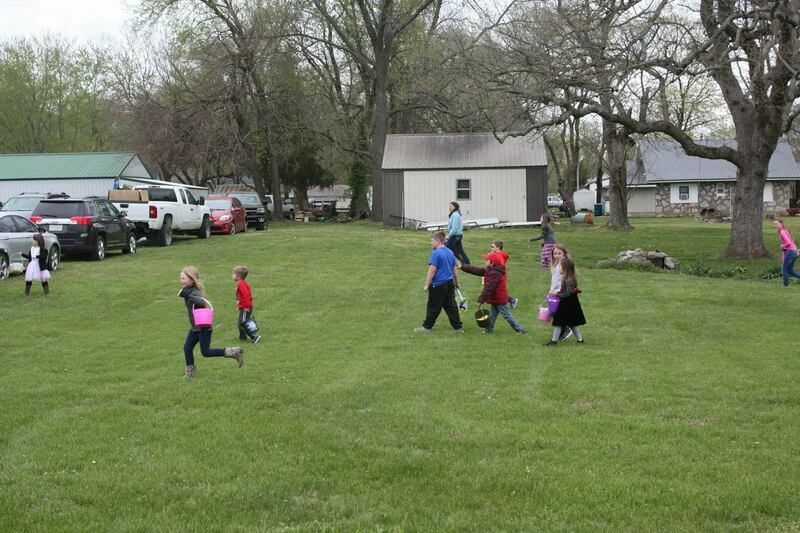 Kids run into the field to gather their eggs. Note: Select any image to view full-size without the caption overlay.